IOTTI+PAVARANI ARCHITETTI operates within the fields of architecture, urbanism, landscape and research. The practice is involved in work over a wide range of architectural scales, for both the public and private sectors. Current design and construction projects are spread over a number of different sectors, and they include workplaces (offices and commercial), civic and cultural buildings, sporting, residential, building rehab, urban renewal and landscaping. The firm is particularly renowned for design of architectures successfully inserted into high environmental value landscapes and townscapes and based on principles of environmental, social and economic sustainability. The ultimate goal is to identify a strategy involving planning, composition and materials, capable of introducing dense insertions into the landscape, successfully imparting new “energy” to the context in which we are working, “energy” which is consistent with the often unexpressed potential of the setting as a whole. 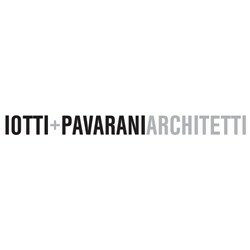 IOTTI+PAVARANI ARCHITETTI was set up in 2001, arising from the pro­fessional partnership of Paolo Iotti and Marco Pavarani. Since its establishment, the firm has received more then 20 awards in architecture and urban design competitions and has gained national and international recognitions through the realization of architectures which are innovative and surprising and yet appear completely comfortable in their surrounding. Among others, in 2011 the practice received the Award as best young Italian talent in architecture by the Renzo Piano Foundation.